Geodata is the basis for every geomarketing and GIS solution. It establishes the spatial reference between company and market data. TomTom geodata is available for 90 countries worldwide and uses a standardized structure. This geodata is of the highest quality: proven, standardized, current and customizable. 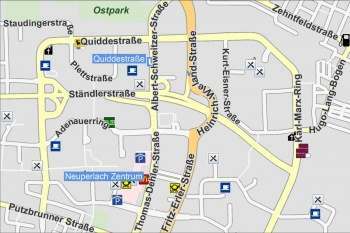 The vector maps product WIGeoStreet is based on the MultiNet database of the navigation data provider TomTom. Based on this data, WIGeoStreet covers almost all of Europe. 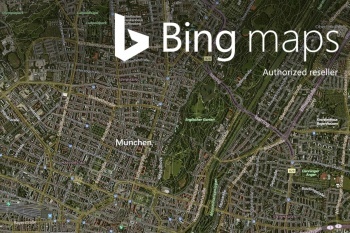 Bing Maps are high quality worldwide web services from Microsoft that provide maps, aerial photos, geocoding and routing. WIGeoGIS is an authorized distributor. Digital maps are used for spatial orientation as background cartography and the visualization of basic spatial information. Geomarketing analyses and the creation of thematic maps are only possible with digital maps as a source of basic information. WIGeoGIS prepares raw data from different producers of “ready-to-use” geodata that are used in the form of background maps, routing networks or address databases in mapping applications.WIGeoGIS provides digital maps in vector and raster format with worldwide coverage. The maps bring new quality to your solutions with their outstanding detail, comprehensive representation and very fresh data. Furthermore, WIGeoGIS acts as a TomTom distributor of geographical raw data and sells web services specifically for solutions providers for a wide variety of industries. Yes, I am interested in your products and services.